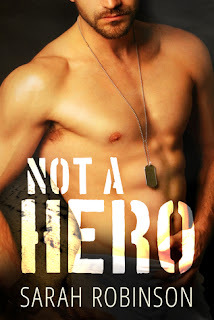 TBQ'S Book Palace: [Pat's Review]: "Not a Hero"
[Pat's Review]: "Not a Hero"
From the bestselling author of the Kavanagh Legends MMA series, Sarah Robinson’s Not A Hero is an emotional standalone Marine romance where love battles trauma, and there can only be one victor. Former Marine, Miles Kydd, is trying to readjust to civilian life after ending his career and returning to his small home town when he learned his father was diagnosed with a terminal illness. Once the town hero and star quarterback, Miles no longer feels like the man he was, or who he’s expected to be—possibly because his demons have followed him home from Afghanistan. Meeting Zoe Brooke, his father’s live-in nurse, gives Miles the slightest glimmer of hope that he can still find happiness despite the dark secrets he holds inside. The chemistry between them is undeniable, and together they are explosive—in more ways than one. A helper at her core, Zoe is more than willing to care for Miles’s heart, but not at the expense of her own, and she’s not afraid to tell him that. She knows what having a painful past is like, and she wants to help him with his, if he’ll let her. Things get complicated fast when Miles realizes burying his secrets isn’t actually the same as healing from them and if he wants the girl, he’s going to have to tell her the truth—the one thing he can’t do. A local boy, Miles Kydd, returns to his hometown, Slipwick, Pennsylvania, after eight years in the Marines. His best friend from childhood and brother-in-arms, Tobin, returns also, each with the burden of what they saw and what they did. Myles saved Tobin's life, but a tragedy occurred that he can't get past. They each react to being home very differently. Zoe Brooks grew up in Slipwick and remembers her crush on quarterback Miles very well. She is divorced from an abusive man and trying to find her way. Zoe is hired to be Walter Kydd's hospice nurse; he is dying of stage four lymphoma, has given up treatments and just wants to be comfortable. She loves him like a father, and does her best to make whatever time he has left peaceful and pain free. She is so happy for him when Miles returns, but he is nothing like the young man she knew. Bigger, harder, with an anger he can barely control. He drinks too much, parties too much, but is always there for his Dad. Somehow, Zoe's calm gentle nature has crawled under his skin, and she actually doesn't treat him like the monster he feels he is. Zoe is also feeling the need to try and comfort Miles, to get him to talk to her or find someone he can talk to. Little by little this attraction turns into more and frightens them both. This is a contemporary romance with a lot of serious topics. 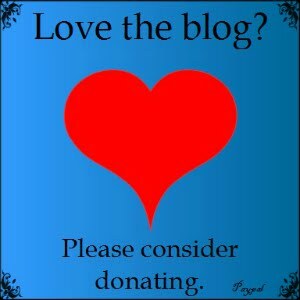 PTSD, cancer, abused women and the impact of war. The characters are real, passionate, and feel like they could be someone I know. Despite their differences, they are a very believable couple and the romance is hot! A very enjoyable read. 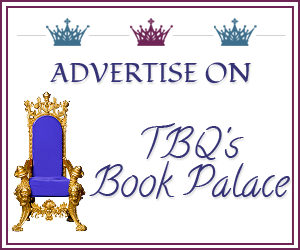 *Note: The quote used belongs to Kate Meader; TBQ's Book Palace does not claim it. Any mistakes or typos in the quotes are my own fault. Thanks for the review, Pat! :) It does sound like a good, if emotional, read.